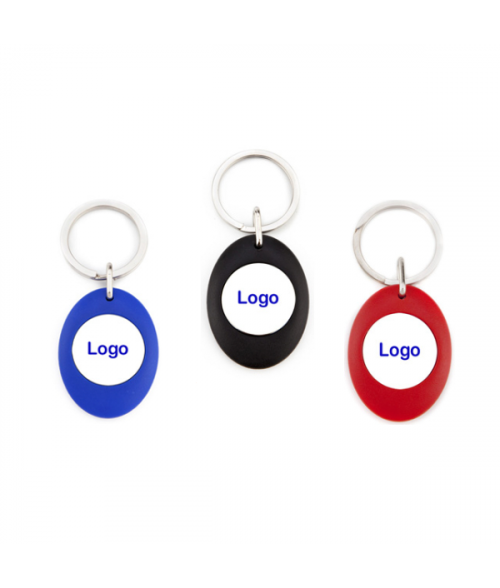 These two-sided plastic key rings make for a great promotional item for your business or your customers' business. These key rings measure at 1.28" x 1.69." This key ring is two sided with a .98" print area for you to get creative! Available in black, blue, or red.